Glenn Greenwald, the Guardian journalist who first published secrets leaked by former NSA contractor Edward Snowden, promised Monday to release more documents, saying the UK would be “sorry” for detaining his partner for nine hours. 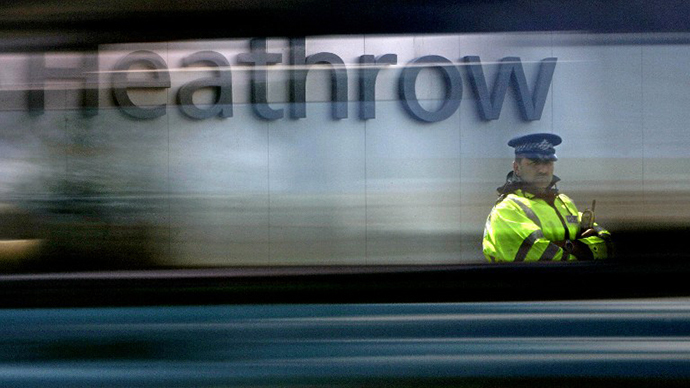 The journalist’s partner, David Miranda, was held by British authorities under anti-terrorism laws while transiting through London’s Heathrow Airport on his way to Rio de Janeiro on Sunday. 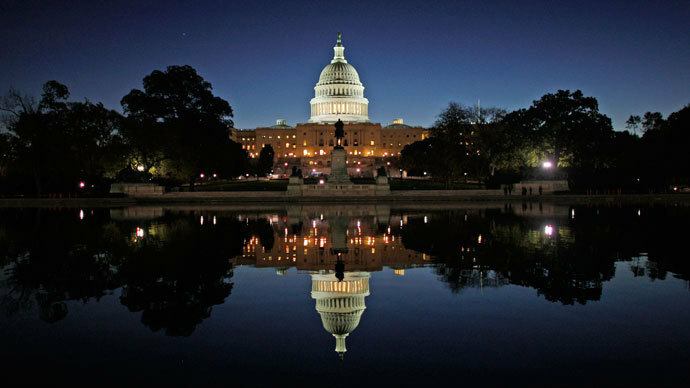 The US government has released a statement saying that British officials told them about their decision to detain Miranda, although Washington denied its own involvement. "This is a decision they made on their own," White House spokesman Josh Earnest told reporters at a briefing. 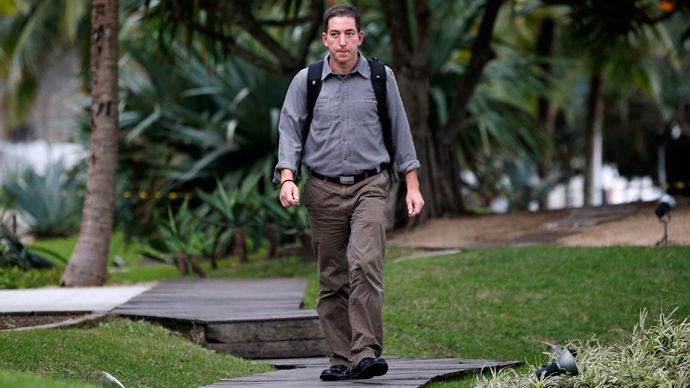 The move by UK authorities sparked a furious response from Greenwald. "I have many more documents to report on, including ones about the UK, where I'll now focus more. 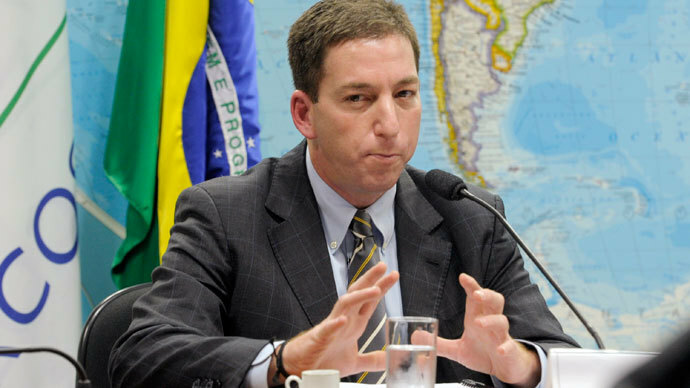 I will be more aggressive, not less, in reporting," said Greenwald, speaking in Portuguese to reporters at Rio de Janeiro's international airport, Reuters reported. "When they do things like this, they show the world their real character. It'll backfire. I think they'll come to regret it," he said. Miranda described being detained like a terrorist by UK officials. “They treated me like I was a criminal or someone about to attack the UK…they were threatening me all the time and saying I would be put in jail if I didn't cooperate,” Miranda told the Guardian. “It was exhausting and frustrating, but I knew I wasn't doing anything wrong." A real mystery: suspenseful RT @OKnox White House won't say whether US tried to discourage UK from detaining @ggreenwald's partner. There was also angry reaction from Brazilian authorities, as well as from journalists and human rights activists in the UK. The Guardian said it was dismayed at the detention of Miranda and was “urgently seeking clarification from the British authorities” as to why it happened. Saying the detention of the 28-year-old was “necessary and appropriate”, the MET continued that contrary some reports, Miranda had been offered legal representation and was attended to by a lawyer. The statement continued that Schedule 7 of the Terrorism Act 2000, which grants police the power to stop and question people traveling through British ports and airports to determine whether they are involved in planning terrorist plots, was used "appropriately and proportionately". Earlier, Keith Vaz, a Labor lawmaker who chairs parliament's powerful interior affairs committee, told the BBC that he had written to the head of London's Metropolitan Police to ask for clarification of what he labeled an "extraordinary" case. “Now you have a complaint from Mr. Greenwald and the Brazilian government. They have said that they are concerned at the use of terrorism legislation for something that does not appear to relate to terrorism. So it needs to be clarified and clarified quickly,” said Vaz. Shadow Home Secretary Yvette Cooper said that “swift answers” were needed as to why Miranda was detained for so long. “Any suggestion that terror powers are being misused must be investigated and clarified urgently - the public support for these powers must not be endangered by a perception of misuse,” she said. Labour MP Tom Watson called for parliament to look into what he said could be an attempt to “get the genie back into the bottle” when it returns from summer recess in September. Michael Mansfield, one of Britain's leading human rights lawyers, told Reuters that the action amounted to an act of oppression. “The detention of David Miranda is a disgrace and reinforces the undoubted complicity of the UK in US indiscriminate surveillance of law-abiding citizens. The fact that Snowden, and now anyone remotely associated with him, are being harassed as potential spies and terrorists is sheer unadulterated state oppression," he said. Widney Brown, Amnesty International senior director of international law and policy, questioned what danger Miranda could possibly be to the UK government. “He was detained under a law that violates any principle of fairness and his detention shows how the law can be used for petty vindictive reasons. There is simple no basis for believing that David Miranda presents any threat whatsoever to the UK government,” she told the Daily Mail. Journalists groups have also accused the authorities of misusing their powers against "terrorism." “Journalism may be embarrassing and annoying for governments but it is not terrorism,” Bob Stachwell from the Society of Editors told the BBC. Miranda, who is a Brazilian citizen, said he was questioned for nine hours by numerous agents before being released without charge. Authorities seized his laptop, mobile phones, watches, and flash drives. "They got me to tell them the passwords for my computer and mobile phone," Miranda said. "They said I was obliged to answer all their questions and used the words 'prison' and 'station' all the time." He said that seven British agents questioned him on all aspects of his life and only released him after he started shouting in the airport lounge. "They even asked me about the protests in Brazil, why people were unhappy and who I knew in the government," said Miranda. The 28-year-old was traveling from Berlin to Rio de Janeiro after visiting US filmmaker Lauro Poitras, who has been working on the Snowden files with Greenwald and the Guardian. Miranda described being detained as soon as he stepped off the airplane Sunday morning. "There was an announcement on the plane that everyone had to show their passports. The minute I stepped out of the plane they took me away to a small room with four chairs and a machine for taking fingerprints," he recalled. He said that he was not allowed to call his partner, Greenwald, who is a licensed lawyer in the US. Miranda added that he was not allowed an interpreter, despite having trouble speaking in his second language. "I was in a different country with different laws, in a room with seven agents coming and going who kept asking me questions. I thought anything could happen. I thought I might be detained for a very long time," he said. The Daily Mail reported that Miranda was carrying USB drives of encrypted documents from Edward Snowden. Miranda said it was clear why he was detained. "It's because I'm Glenn's partner. Because I went to Berlin. Because Laura lives there. So they think I have a big connection," he said. "But I don't have a role. I don't look at documents. I don't even know if it was documents that I was carrying. It could have been for the movie that Laura is working on." The Metropolitan Police confirmed that a 28-year-old man was held from 08:05 BST until 17:00 BST, under Schedule 7. British authorities confirmed Miranda’s detention under an anti-terrorism law, but did not elaborate on the reasons for their actions. However, the UK Home Office has defended Schedule 7 in the past. David Anderson, the official independent reviewer on the UK’s terrorism legislation, said he asked authorities why Miranda was detained for so long. Of the 69,000 people detained under Schedule 7 in 2011-2012, only 40 were held for six hours or more. In most cases, people are released after less than an hour. Snowden, who has been granted asylum by Russia, gave Greenwald up to 20,000 documents with details about the US National Security Agency and the UK’s GCHQ surveillance operations.